Below are a selection of our latest news stories and upcoming events. Click the news header to read the full news story. We have the CRF250R on 0% finance with a £299 deposit and £144.79pm! We can only offer this deal for a short time so grab it now. If you need to go racing this weekend and need a CRF250R, no problem just give us a call and we can turn everything around for you quickly to get you out on your new bike. Interested? Call Sam or Nathan on 02476 703900 or it's easy to apply online for finance, just click on the link below. 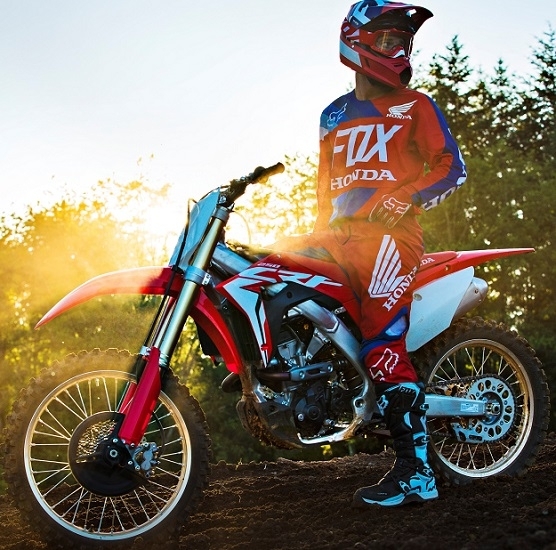 Remember any Honda CRF250R you buy from Kestrel Honda has the full backing of Honda UK together with the applicable warranty. Delivery is not a problem, all we seek to do is recover our costs, call Sam or Nathan on 02476 703900 with your post code and we will happily work out a price for you. Finance is made available subject to application and status. If you are under 21 years of age then a parent or guardian may be required to apply for the finance jointly with you. The above illustration assumes that finance is made available by one of our specifically selected finance companies. In the event that another finance company is used then interest rates and terms may change.